I’ve been wanting to do some Raspberry Pi tinkering for some time. Having a little computer on hand to handle the logic processing and interfacing with the outside online world, while also having input/output pins directly controllable by code running on the pi is just too tempting. The Gmail notifier – a simple true false statement turns a pin voltage high or low depending on presence of new mail in your inbox. I am no electronics guru – very much in the category of hobbyist who can comfortably fill header sockets with too much solder without realising it! (yes that’s a bad thing!) Therefore I have been looking for something that combined ease of use with great versatility in order to start exploring how I could use sensors to begin on that hobbyist’s delight – home automation. So what project would make a good first project? 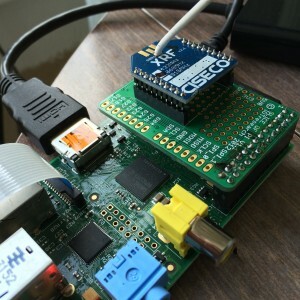 The hub of the network, a slice of pi and an XRF radio module. In our new house we changed the boiler, and so I wanted to track temperature in at least one room to see when the temperature was comfortable and to allow us to re-programme the thermostat to be as efficient as we could get it. The other thing I wanted to track was the green house temperature – although I must get some new glass to replace the missing panes, as it isn’t going to be that useful with a gale blowing through it. 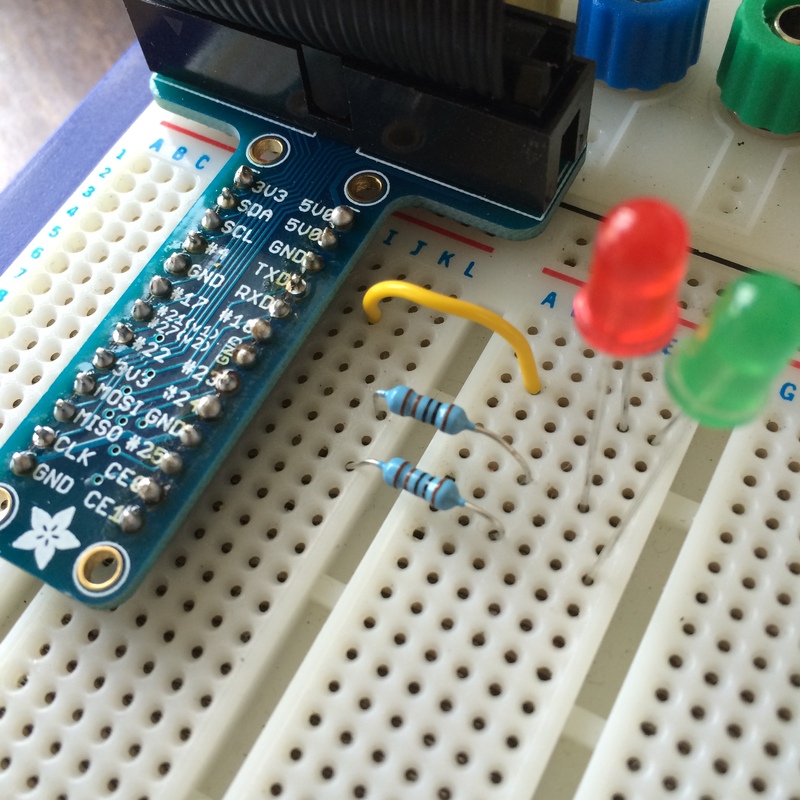 Two immediate ideas which involved temperature measurement and tracking. Sounds like a good basis for a project. I first looked at the 1-Wire network Dallas temperature sensors, but as these predominately needed a wire to make the network, and I didn’t want to run wire out and down the garden, I dismissed these. Though I did find various ideas to make them wireless – this didn’t seem the simple solution I was looking for. One of the sensors. You can see the thermister and aerial. 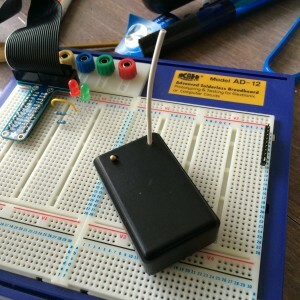 I then stumbled on this blog post which pointed me in the direction of small radio modules which had a potential range of hundreds of meters, combined with a very simple text based serial port message system that would make getting the readings super easy. not only that but I could theoretically have around 676 devices int he same sensor network, and some of them could also do things like actuate switches… needless to say this sounds terribly promising! For the initial setup I decided to do exactly as described in the blog post above. Parts ordered and delivered: within 1 evening and a saturday morning I had a network setup and sending temperature data on an periodic basis. Next step is to capture the data somewhere (possibly using Firebase) and render the results as a chart. For that you’ll have to see the next post (when I have written it! ).